EITC’s Datamena services will enable CMI’s PoP to access the UAE and GCC Regions, as well as act as a hub point to reach the African market. This partnership intensifies the growing diplomatic relations between the UAE and China – especially in the wake of Chinese President Xi Jinping’s recent three-day visit to the UAE in July, 2018 in which 13 agreements and a memorandum of understanding (MoU) were signed between the two nations to strengthen partnerships across various sectors. Furthermore, bilateral similarities between the two countries further compliment their visionary leadership objectives, most obviously through their aligned aspirations towards achieving happiness and improving the lives of citizens through government-led visions and sector-driven technological innovations. The Datamena partnership builds upon many other initiatives that EITC and CMI have taken together to connect the communications infrastructure between China and the UAE to support the economic cooperation between the two countries by enhancing the quality of telecom services provided to Chinese Enterprise Customers and Retail Consumers in UAE and China. The Voice Interconnect Agreement aims to provide superior and preferential international voice calling services between the UAE and China. The IPX Agreement will provide better quality of services for Roaming Customers accessing data services on Roaming. 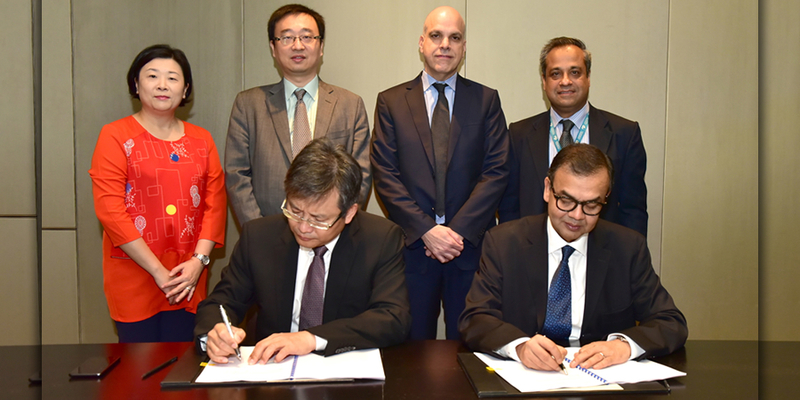 Lastly, the Machine to Machine data connectivity (M2M) MoU allows both parties to further explore Connected Devices’ opportunities in the UAE and China.